When it comes to birding, Uganda is slowly but surely building a reputation as a prime birding destination and hosting the annual Africa birding expo will definitely solidify that reputation. 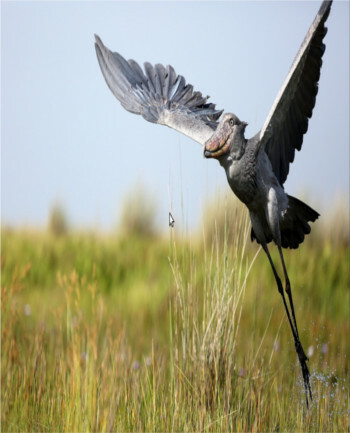 Uganda is set to host the first ever annual Africa birding expo this year 2015. The birding expo is a new idea that was advanced by members of Uganda Safari Guides, the umbrella association of all those involved in tour guiding and includes sub-clubs like Uganda Bird Guides Club (UBGC) Headed by K Kamugisha, Uganda Cultural Guides Club (UCGC), headed by Paul Tamwenya, Tourist Driver Guides Club, (TDGC) –Emma Akankwasa , Women Birders, KITOGA and Foreign Language Guides, Uganda Butterfly Guides Club and others. The Chairman of Uganda Safari Guides Association, Mr. Herbert Byaruhanga says that they developed the concept of Africa Birding Expo after realizing that there is a great potential for the industry to grow. According to Mr. Byaruhanga, Uganda which has more than half the bird species in Africa is best country to host this expo-the very first of its kind. For over a decade now, Uganda has steadily grown as a birding destination in Africa and globally. Recently, renowned birders from United Kingdom and United States of America (USA) visited the country to promote it as a birding destination in November as Uganda celebrated the birding day with the rest of the world. Mr Byaruhanga believes that hosting this international expo is an amazing opportunity for Uganda because it will bring in birder from all over the world, from continents such as Asia, Europe, the America and Australia, and this will be good marketing for the birding section of Uganda’s tourism industry. It will give all these birders a chance to see the unique tourism opportunities that Uganda has to offer. The birding expo is expected to be bring in new business opportunities and also provide an avenue to promote tourism in Uganda. As the host, Uganda will in essence be selling itself and what it has to offer it its counterparts and will be profiled as a birding destination through out the expo. This is definitely good news for the Uganda tourism industry. Although Uganda is better known for gorilla trekking safaris and tourist attractions such as the river Nile, and rwenzori mountains, it also has a rich birding sector. In the past years, the birding sector has grown with training of over 100 bird guides and site guides. There are about 1060 bird species found in Uganda, which is an impressive number to any birder. More than half the species in Africa can be found in the pearl of Africa, and about also about 10% of the global species. There is enough variety to excite and keep birders engaged an interested in the destination once they discover it. This growth in the biding sector, according to Mr. Byaruhanga, will definitely benefit Uganda. He says birders are some of the tourists who spend the longest time and spend more money than the rest. on average a birder spends about a week or more in the country and can spend Ug. Shs. 28m (about $10, 000). This is good news for the country, it should help increase birding tourist traffic into the country if all goes well. So 2015 should be a good year for the birding sector in Uganda.